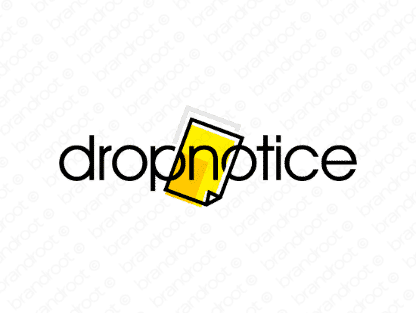 Brand dropnotice is for sale on Brandroot.com! A clever combo of "drop" and "notice" that's catchy and packed with diverse potential. Dropnotice is a smart modern business driven name ideal for retail and sales related services of various kinds from price drop notification apps to business stats and analysis. You will have full ownership and rights to Dropnotice.com. One of our professional Brandroot representatives will contact you and walk you through the entire transfer process.